Does Manny Want Out of Boston Again? According to Tom Verducci in the August 1 issue of Sports Illustrated, Manny Ramirez has asked to be traded from the Red Sox. 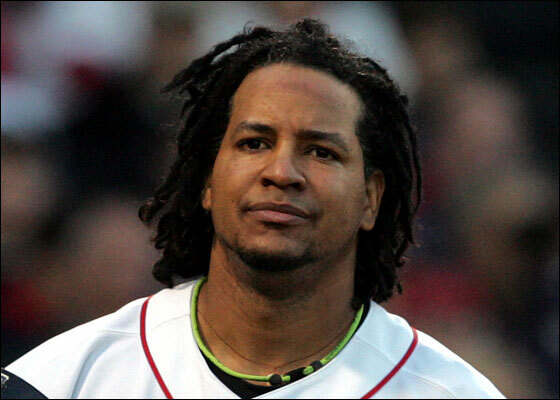 Verducci writes "Manny Ramirez wants out of Boston. Again. The Red Sox leftfielder has asked to be traded for at least the third time in the past four seasons. He told team officials he is unhappy in Boston, particularly with his lack of privacy off the field. The Red Sox have no intention of trading Ramirez (.277, 27 homers, 90 RBIs) -- not during the season, anyway. They could field offers in the off-season for Ramirez, who is due $57 million over the next three years. 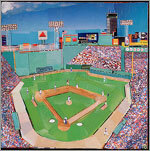 "Boston has learned to live with Ramirez's moods in order to keep his bat. He asked to be traded in spring training 2002, and again after the '03 season. However, when Boston agreed in principle to trade Ramirez to Texas as part of the ill-fated Alex Rodriguez deal, Ramirez telephoned owner John Henry late one night pleading to stay." According to the Providence Journal's Sean McAdam on WEEI, Manny walked up to him in Baltimore on July 8 and said "I gotta get out of here, I gotta get my life back." Manny then turned and walked away (it was not known whether he was joking or not).